This guide shows you what you can do on the Deputy Mobile app. This is available for iOS (App Store) and Android (Google Play Store). Ensure that you have a Deputy account. You can create a Deputy account by signing up at Deputy.com. Alternatively, your employer may send you an email, which will include an account creation link. Please note that Deputy supports iOS10+. 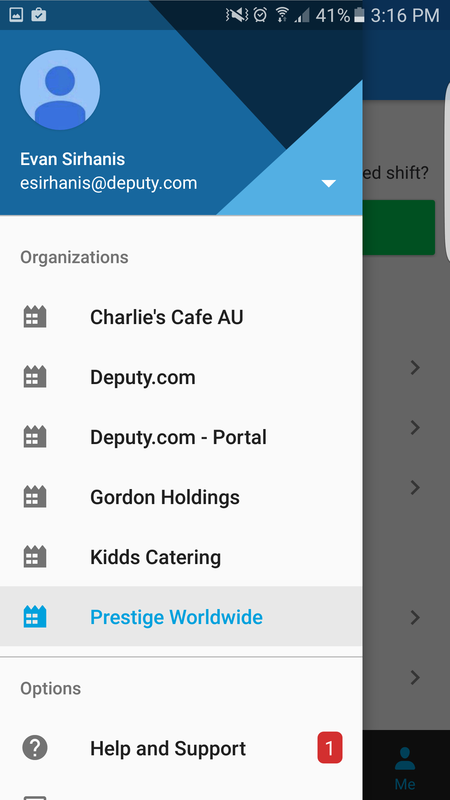 This section will run you through all the available features currently included in the iOS version of Deputy. The iOS version of Deputy now features 3D Touch support. 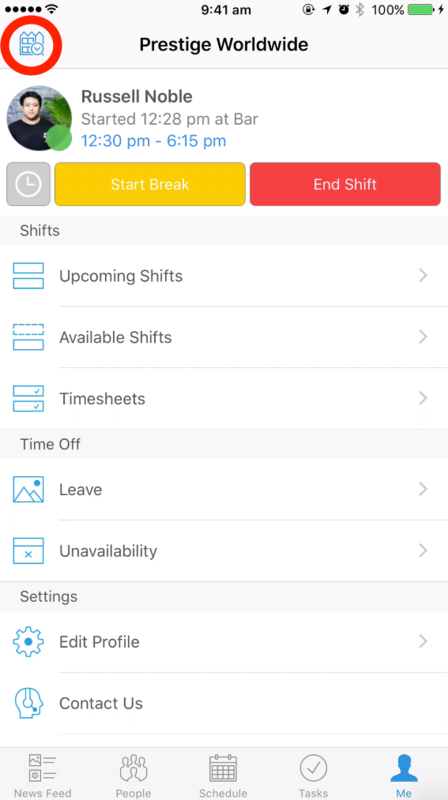 You can now start and end your shifts, start and end your breaks, and post photos and News Feed posts. To access the 3D Touch feature, just hard press the Deputy icon on your phone. Note that you will need a 3D Touch-supported phone. This tab will allow you to see News Feed posts. To create your own post, click on the plus (+) symbol in the top right. 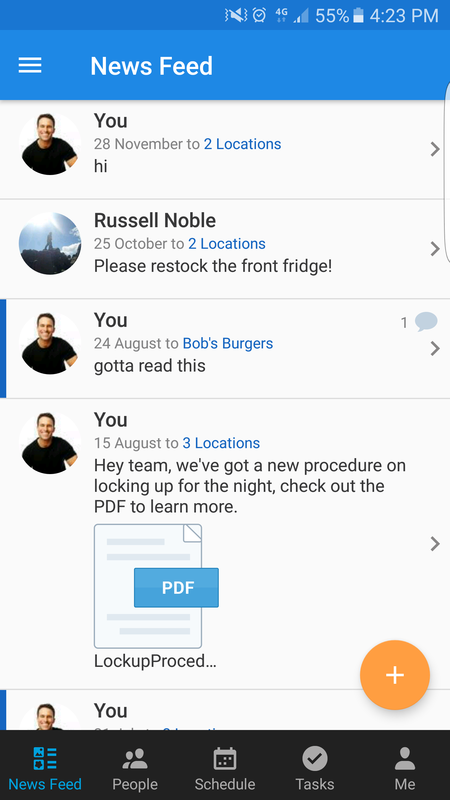 You can direct the News Feed posts to everyone, to a specific location, or even to a specific employee. You can also add photos to the News Feed post. This tab allows you to see information about the other employees and team members that are scheduled during the day. You can see what time they start and end, if they are late to their shift, if they have been on their break, and if they have, how long they were gone for. You can also change the viewed location by tapping the location name at the top and selecting the desired location in the drop down menu. 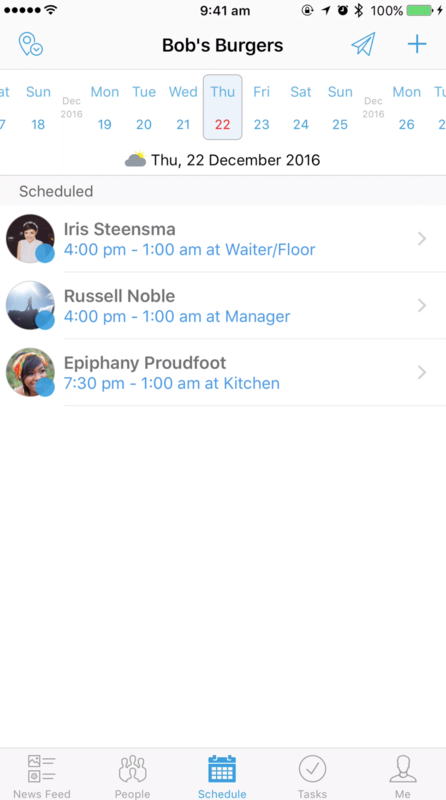 The Scheduling tab is much like the ‘Team’ tab, with the difference being the ability to select a date at the top of the screen, allowing you to check future shifts. 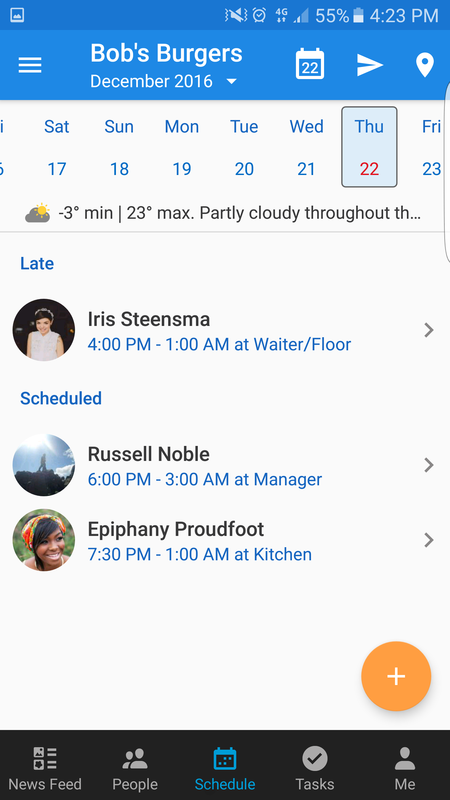 The Scheduling tab also features the weather, in case there are any weather-based tasks that you may need to complete. 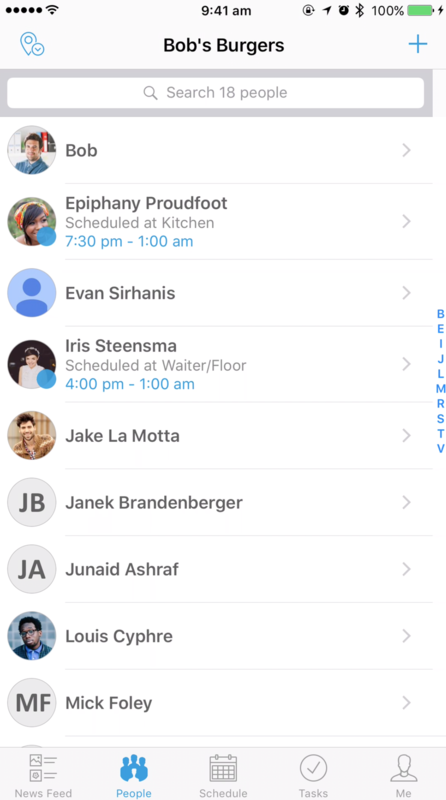 You can add and delete shifts by tapping the + icon in the top-right hand corner. 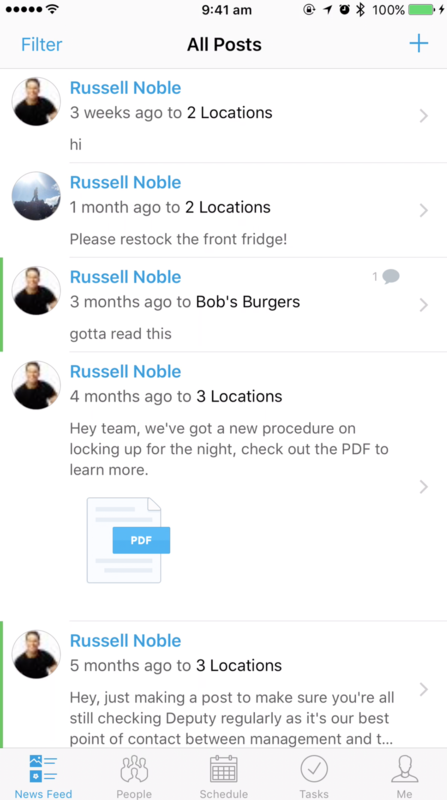 You can also publish these shifts by tapping the paper plane icon in the corner and following the steps to publish your shifts. This tab allows you to see any tasks that have been assigned to you. 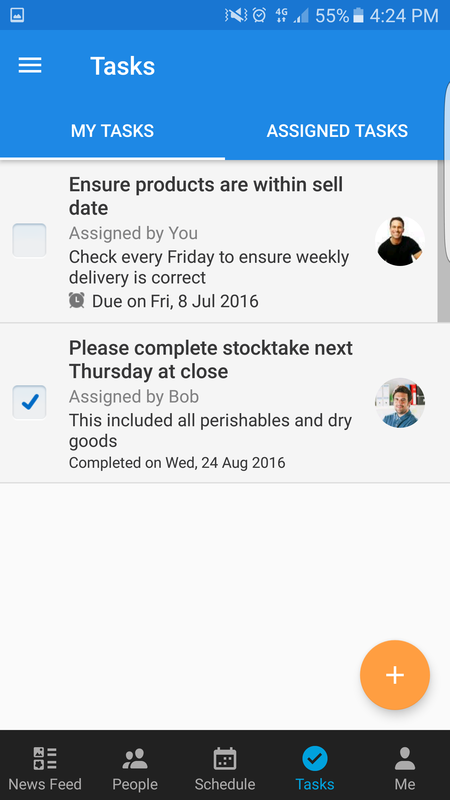 You can create new tasks or create and delegate tasks for yourself or other employees by tapping the plus (+) symbol in the top right corner. The Me has a few important sections that make life easier. From this tab, you can start and end your shift, and start and end your break. You can also see upcoming shifts, available shifts, and view your timesheet. 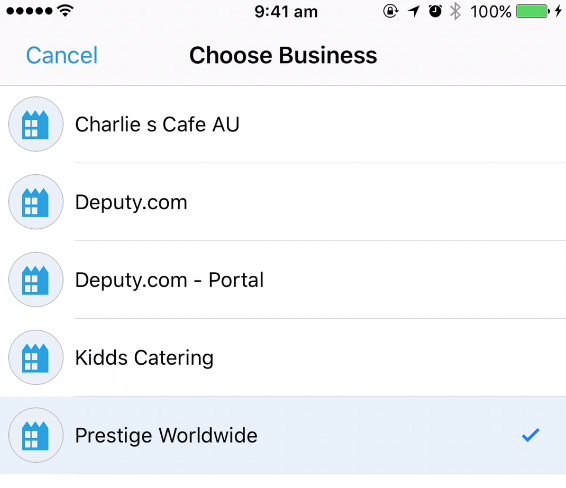 Then select the desired business in the list that appears. This section will run you through what you can do and what you will see when using the Android app. The News Feed tab allows you to read up on News Feed posts. You can add a News Feed post by tapping the plus (+) icon in the top right. The Tasks tab allows to to see your assigned tasks. 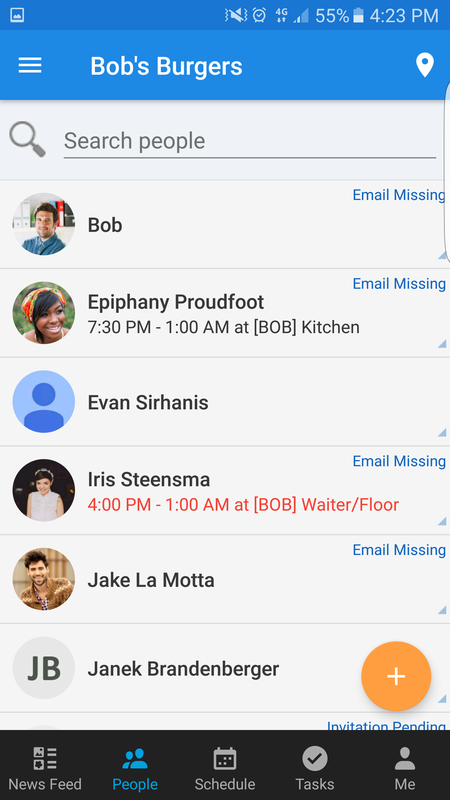 You can also add tasks for yourself or for other employees by tapping the plus (+) icon in the top right. 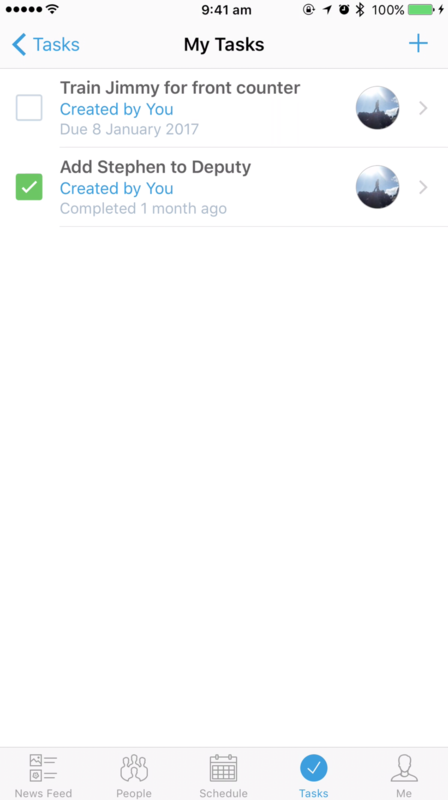 To make a task as complete, simply tap the checkbox next to the task. The Schedule tab displays a daily view of your company's Schedule. From this tab, you can add shifts, import a schedule template, approve timesheets and publish schedules. This tab will allow you to see the people who are scheduled to work on the current day. You can see their start and finish times, if they are late and if they are or have been on a break. Note that the System Administrator can disable this feature. The Me tab is the main information hub. It displays your shift details at the top, including the area you are working in, and the start and finish times. You can start and end your shift, and start and end your break from this tab. Note that you may need Location Settings on to do these, as the System Administrator/Manager may have this toggled on in the Deputy settings. 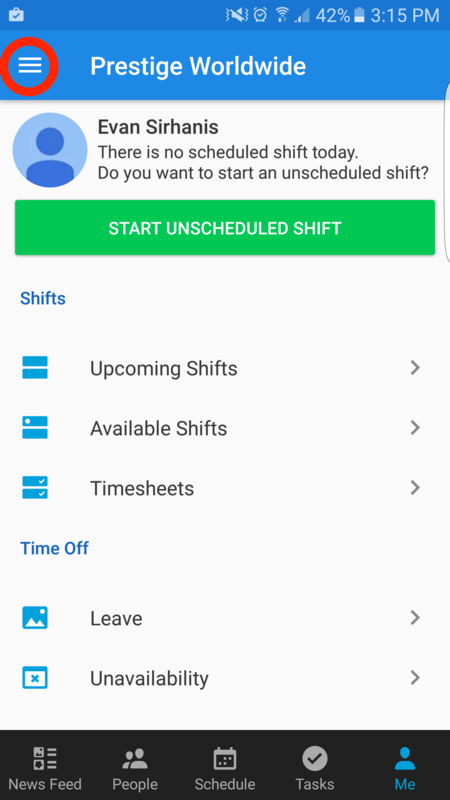 From this page, you can view your upcoming shifts and previous timesheets. 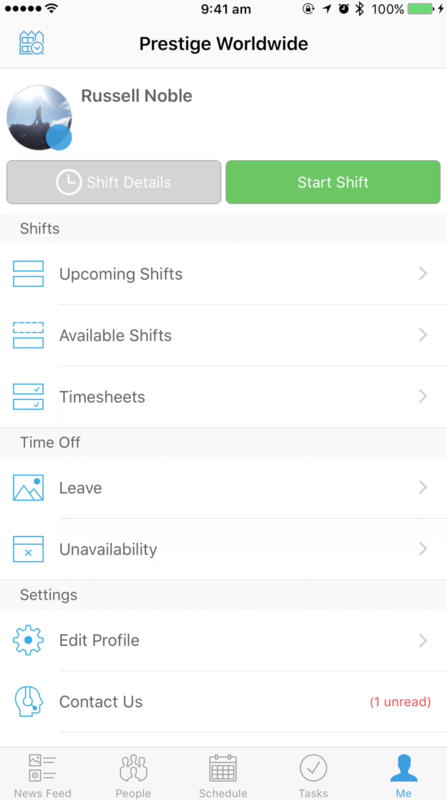 If you tap available shifts, you can view any open shifts that are up for grabs. In the Time Off section, you can apply for leave and set unavailability. You can also tap the Leave button to see the status of your leave application, if it has been approved or denied, as well as any comments by a manager explaining the decision. Then on the ensuing list, tap on the business you would like to switch to.